No one likes cramming their belongings into a tiny car on move-in day. Ask our team about our free truck rental program! 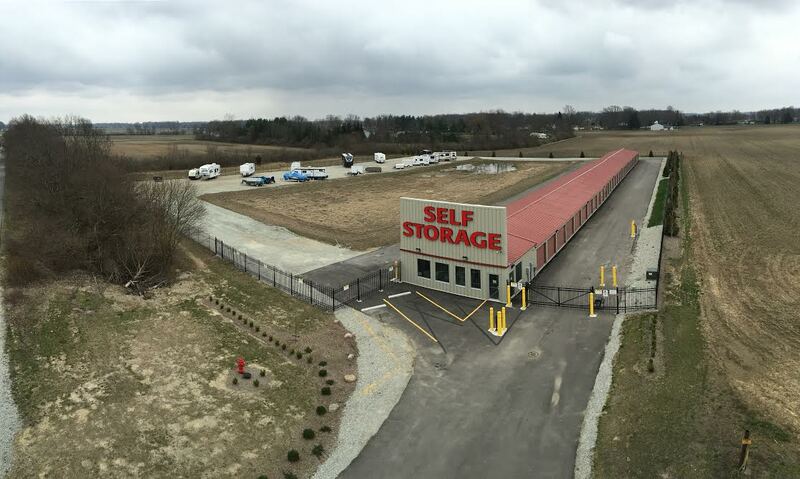 When you chose Cumberland Storage you can be sure that our brand new facilities will serve you with the best, most comprehensive self storage experience in Greenfield, Indiana. We have all the features you’re looking for, including our outdoor parking and free truck rental for new move-ins. Come check it out! We want to make your self storage experience the best it can be. That’s why we offer self storage units on the ground floor with driveways wide enough to allow you to easily drive your vehicle up and load or unload. The simplicity gets even better when you start to take advantage of our access hours, offered 24 hours a day, 7 days a week. Now you can have a convenient move and enjoy the ability to get to your belongings anytime you need! If drive-up, ground-floor, 24-hour access doesn’t spark your interest, then you’ll love all the other amenities our facility offers. Go ahead and use one of our rental trucks for free on your move-in day. Got a heavy piece of furniture? Our dollies and handcarts are free to use! We even have climate-controlled units to protect your weather-sensitive belongings. These features and a variety of sizes will allow us to help you store just about anything! Our brand new facility not only provides you with the most up-to-date features but also has the best security around. Perimeter fencing, video surveillance, and computer-controlled gate access all work to keep you and your belongings safe. A professional team member is always available to help you with your project. If you’ve run out of space, then call our office. We’ll help you reclaim it!